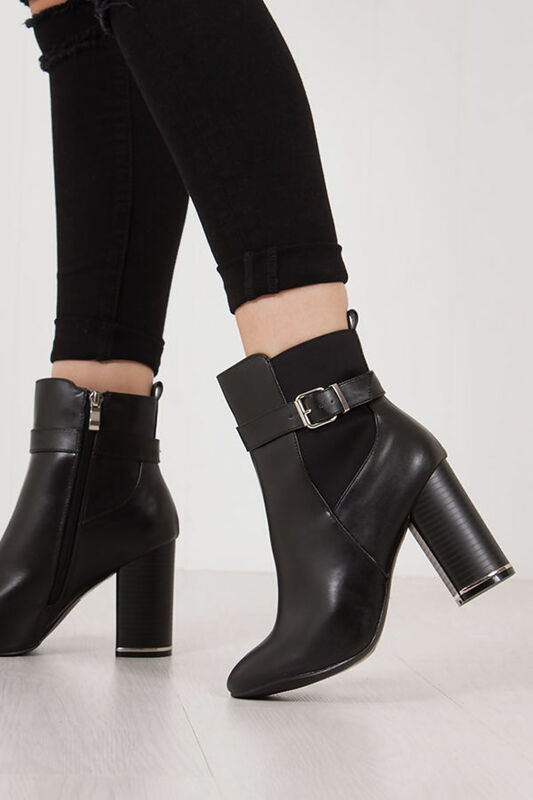 Get your winter shoedrobe on point this AW with some serious sass! 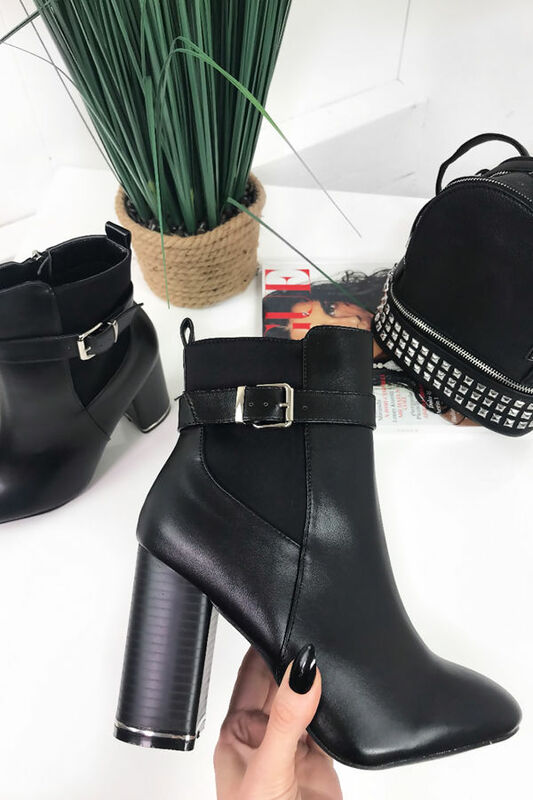 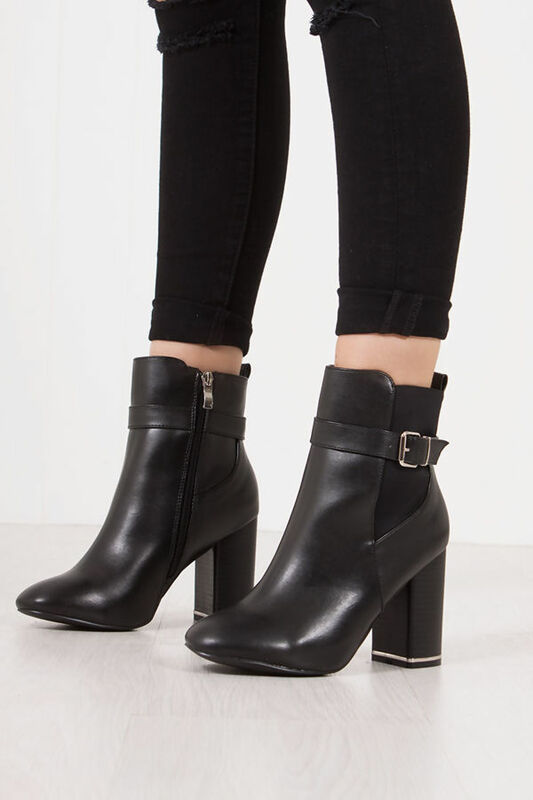 These ankle boots feature a faux leather finish, with a block heel design styled with a silver trim. 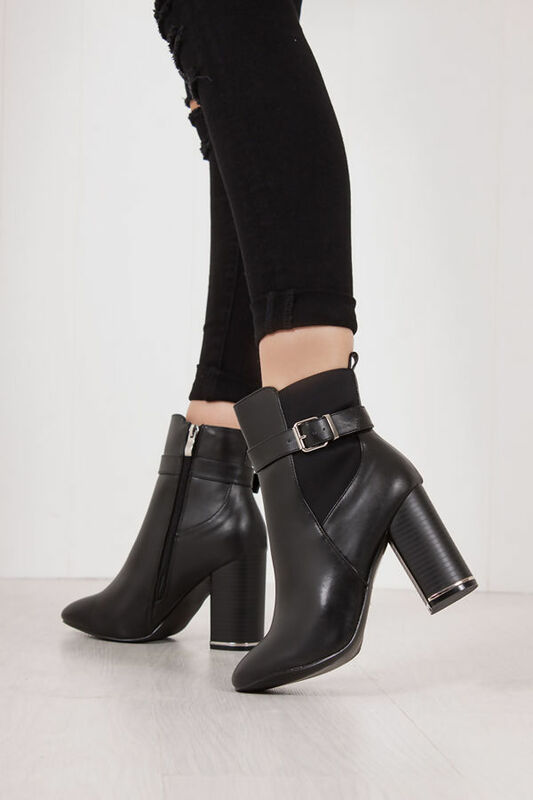 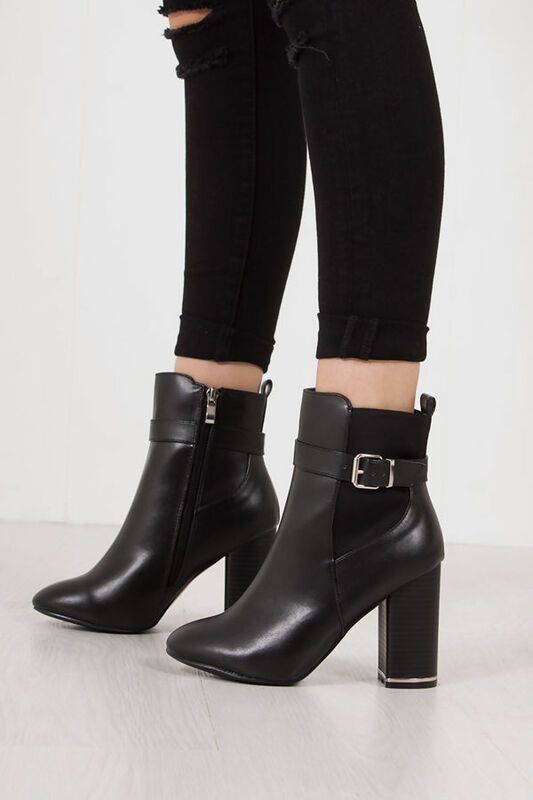 These buckle strap ankle boots would look killa styled with shirt dress layered under a printed jumper dress!